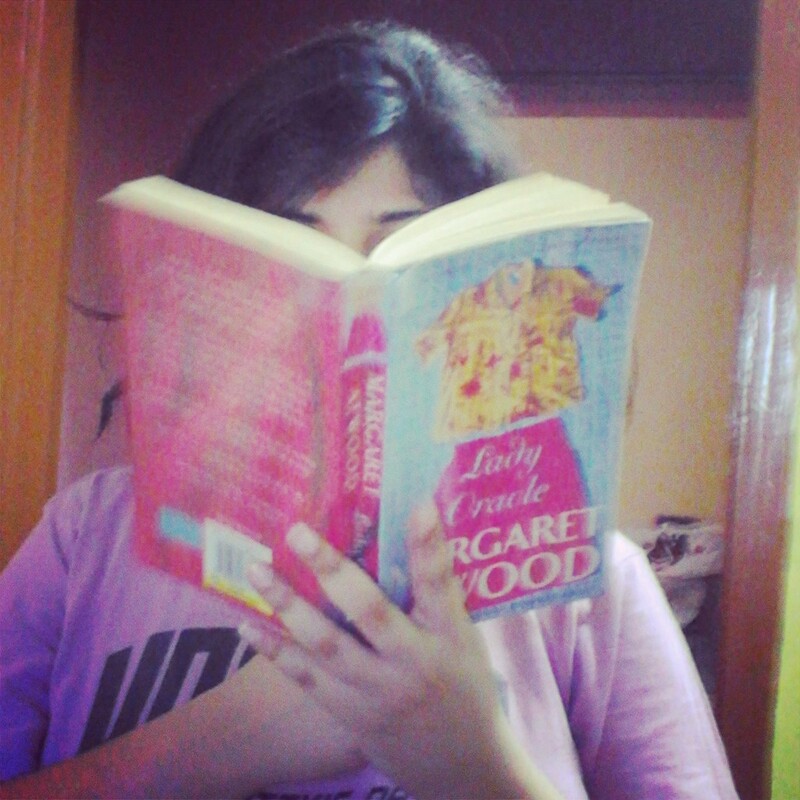 Yours Truly, burying her fat face in Atwood’s book. This is what I was frightened of, actually. Reviewing the work of an author for whom I have had unflinching admiration – the sort that would mean being completely uncritical, defensive when someone lashes out at them and always feel genuinely happy when you come across their work. I began reading The Handmaid’s Tale because it was dystopian. I had finished Orwell’s 1984 a few months before I stumbled upon Atwood, and I realized dystopian literature was fabulous, haunting, maddening. And thus began the journey of devouring everything Atwood. I fell in love with her style of placing words side by side and founding a sort of labyrinth for the reader. I would dream of her characters, of the stories, I would feel for them, I would hate them. I’d find an Offred on the streets, and perhaps a Cordelia if I went through my high school photographs. And then last week the library (that believes in choosing a random book from a list you’ve provided them with; therefore, a blind book date every few days) sent in Lady Oracle. I had been waiting to read Lady Oracle but not on the Kindle, for some reason. So when they sent in the book, I was determined to finish it off before anything else. However, I have been too busy trying to get my college documents together and this meant, travelling to the university – unenviable journey by train/bus, rains, muddy puddles, sleep quotient absolutely zilch – and hence, reading had to be stalled for a couple of days. Anyhow, I digress. 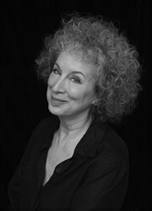 I have read Atwood’s later novels – The Handmaid’s Tale, Wilderness Tips, Cat’s Eye and others – and her first novel, The Edible Woman. I have not judged any of the books because I was bowled over by her style, plot, characters. However, I began finding fault with Lady Oracle as soon as I began it. The books begins like a dream, almost, “I planned my death carefully, unlike my life, which meandered along from one thing to another, despite my feeble attempts to control it.” Anyone who has understood the cheap thrills of wanting to escape her life would understand what I am talking about. Any escapist would look forward to a crazy history that would back up the a first line of the book. And Atwood does give us a protagonist of that sort, Joan Foster – writer of peculiar costume gothics, fat-then-now-slim escapist who has run away to Italy because things are closing in on her, mysterious secret past, many accidental lovers. Joan Foster is what every girl is inside. Constant madness to gulp down massive amounts of food, and the constant guilt of being a shape that noone trusts and yet everyone feels comfortable around. Insecurity, the need to lie, the unfortunate ways in which she meets her lovers and continually falls deeper into a morass that she has herself created, the need to love, the need to run away. However, Atwood, in parts, forgets to tie loose ends at least during the story (in the end, things fall into place, though very complicatedly but I can live with that. The woman is phenomenal. One mistake does not matter). The protagonist is complicated, her mission is complicated and the issues in the book are complicated as well. Atwood deals with so MANY issues – feminism, politics, adultery, betrayal, blackmail, religion, spirituality, abusive parent, psychologically damaged kid, body image problems, teenage angst. There are just so many things she wants to say and yet, all these issues are neither resolved nor provide with some consequence to the protagonist. And this is why the book couldn’t be as well-received as all her other books. This scene is later perfected in Cat’s Eye where Elaine Risley is left alone to die in ice cold water by her friends who bully her. What started off, somewhat unsuccessfully, in Lady Oracle with the victimization of Joan by Elizabeth and Marlene, is essentially completed in Cat’s Eye with the torturous bullying of Elaine by Cordelia, Grace and Carol. Atwood is elusive, as Michael Rubbo has himself said (No, I haven’t gotten around to watch the documentary; I don’t know how to download it for free, yet) and perhaps it is true. Many, like myself would possibly think that she herself was treated this way by a close friend – left in the dead of the night to die or to be raped. However, noone would ever come to know. Perhaps, in her childhood, she was the tormentor or a silent bystander while all this happened to someone else. Of course, who’d know this but Atwood herself? 2. The book won my heart because of this sole sentence “Was every Heathcliff a Linton in disguise?“. We see Arthur, Joan’s husband, lose his Byronic indifference slowly throughout their marriage and then, the Red Porcupine starts off as someone so eccentric, so insanely out-of-the-world that the reader would want to know more about him. However, he too descends into a man of needs and this frustrates Joan. Atwood, long before her success came, had bared the politics of a man and a woman. As the Polish Count in the book states (I paraphrase) that a man has to keep the woman intrigued by his mind and the woman has too keep the man’s interest with the use of her body. However, most of the men that Joan meets and begins to love, as it seems, cannot keep their mystery for long. This of course has happened to so many of us. And the reference to Wuthering Heights and HeathCliff is remarkable! Because I am biased and I absolutely adore the author, I’ll give this book four out of five stars. Those Pricey Thakur Girls: Cat on the cover, Indian love story, forgiveable anachronism.